"We had a wonderful time. The condo is oceanfront with great views, perfect location, incredibly well stocked with everything you could need, beautifully decorated with lots of linens, comfy beds and pillows, nice bathrooms and kitchen. Again it's perfect! I would highly recommend staying here. The property managers are great and I can't wait to stay again!" "This is my 3rd year in a row staying for a month & each year I check out counting the days until my next stay! Location couldn’t be better, the beds are so comfy, the kitchen well stock & each year I notice upgrades to the apartment that are fabulous! This year I loved the new shades, pillows, art work in one of the bedrooms, mirror & basket of blankets. Thank you for adding to my yearly joy! 360 days til I’m back!!!!" "Beautiful condo where you can experience sunrise and sunset overlooking Avila Bay. Nicely furnished and convenient to many activities including hiking,biking, wine tasting and relaxing. Will definitely be back! The property managers were fabulous as well." "The Unit was very clean and well equipped. Great location and view. The refrigeraton unit from the store below ran 24-7! Also, there was construction with loud sawing, hammering, and drilling going on. The managment co was quick to respond and give us a $50 gift card." "We stayed two nights at this location over the weekend. It was a perfect spot for my husband and 2 year old son. It has a beautiful view and we loved falling asleep to the sounds of the ocean. It is right about above a market and restaurant which is so convenient! Got a little noisy during opening and closing times and when you walk out it’s near the garbage but we didn’t mind. Look forward to coming back! " "Great location----wish it had better parking.....overall we would love to go again..."
"Beautiful, ocean front condo. " "Stayed here for an extended weekend and had a great time. The condo is very clean and even though it is only a two bedroom it is really roomy and you never feel cramped. 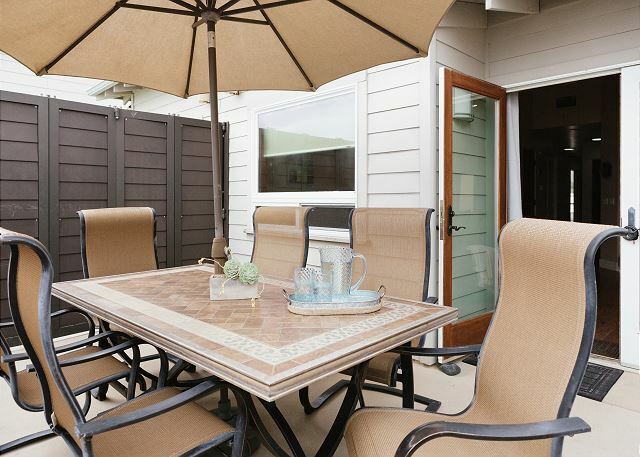 The patio is cherry on top for this place." "Outstanding! We had a great time"
"We had another fabulous month stay at this cute little condo and can't wait to come back next year for another month. It was fun to see nice upgrades from last years stay; new bed & dresser in the guest room, several new lamps throughout. I love a vacation rental that keeps itself updated and this little gem overlooking the beach does just that. After staying in at least 6 other places in Avila throughout the past 15 years this is our "Spot"from now on...love it! " 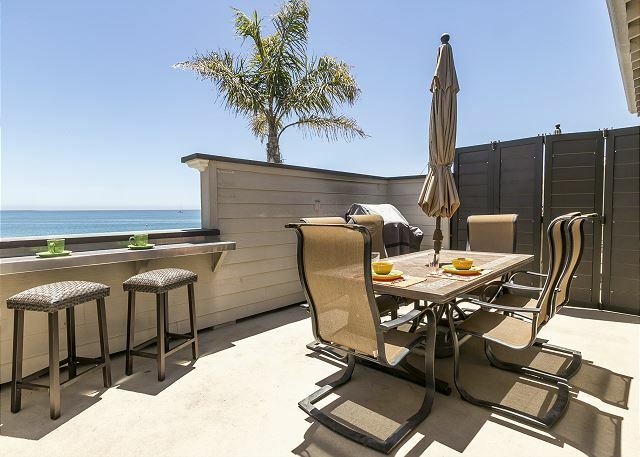 "My daughter goes to school nearby so her sister and farther and I met her in Avila beach and stayed at this great rental. Very up to date and roomy. Slept 4 easily and close to great restaurants, walking hiking and across the street from the beach! Wonderful. The family has decided to make this stay an annual event! The management company was so good to work with! " "Had a wonderful time in Avila and this was a great place, perfect location and with a beautiful view of the ocean. " "We absolutely love this place. Weve been going to Avila for over 30 years and you cant stay in a better place. One recommendation would be to make sure the area by the stairs and behind the grocery store is kept clean. We experienced a lot of flies by the stairs and the odor wasnt pleasant." "Good not have been better. Great location." "Very positive. We've been coming to this same location for many years. We noticed there were more supplies than in the past. That was very helpful. " "The unit was awesome!!! Clean, quiet and it couldn't be in a better location. The office staff was very helpful, even having items we forgot shipped there. Only complaint would be to get a lock box on the unit. There is really no logic making people drive to Pismo to pick up keys. Other than that, it was an absolutely perfect!" "Property was beautiful. Very clean with great beds and pillows. Great location to beach, shops and restaurants. Everything about the place was amazing." "We had such a fabulous month at this cute little place that we are coming back again next year! You can't beat the location and the deck, right across the street from the beach, is a perfect place to start and end your day with a smile on your face! " "The biggest complaint I have, that could very likely keep me from renting this unit again is that the (2) small beds in the second bedroom are HORRIBLY hard & noisy. Even the lady who works downstairs at the market asked me about it. She had the same experience and said she would never stay again and she was there for FREE! The frame creeks every time you move. Our backs hurt the rest of the trip. The main bedroom bed was good. TV size is also very small in livingroom, but this would not keep me from coming back. Beautiful view, very clean, well stocked. Great service from property management company!!! " Response from Coastal Vacation Rentals: I am so sorry you were so uncomfortable. I am pleased to tell you we are replacing those beds. Thank you for your comments. "This is a great place to relax by the beach. Had a very relaxing time, hope to revisit soon!" 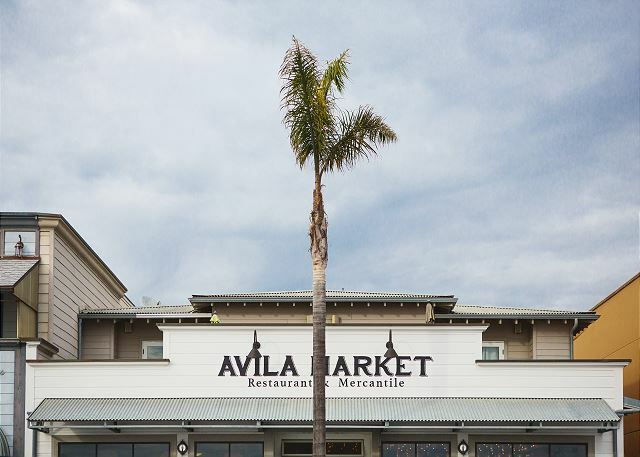 "We really love staying above the grocery store in Avila. We are steps from everything!" "Nice condo was in a good location and with a view. Comfortable, clean and plenty of room for the six of us. " 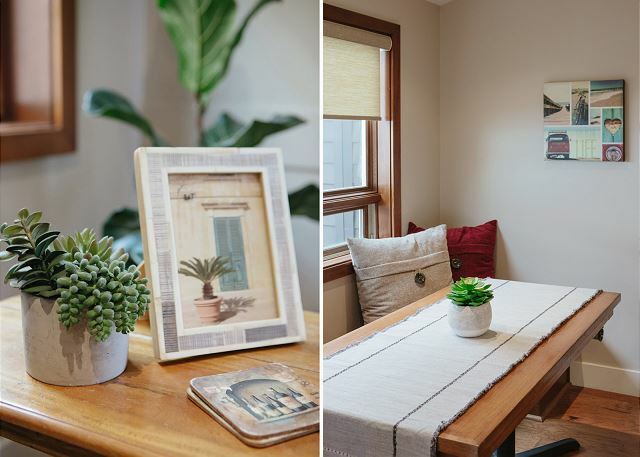 "We had a delightful stay at this lovely apartment. We will definitely be back!" "We are wondering when to expect our deposit back. It has been almost 3 weeks and it seems that it should be here by now." "Wrong sized sheets for the sofabed in the living room, but otherwise a perfect weekend and great rental. Loved the rooftop patio and bbq!" "It was a great place for us to relax with a beautiful view & everything we needed at our fingertips. Avila Beach is a wonderful little beach town with cute shops & friendly people." "We had a wonderful stay as usual.Probably can use some new towels." "We just worried too much about the counter tops and sinks. They're beautiful but..."